These Three Easy Halloween Party Food Hacks have been made using Barratt Sweets and can easily be recreated at home for your own Halloween party to feed your little monsters with. Halloween is such a fun time of year. Fancy dress, trick or treating and of course fun food to eat! No wonder children love celebrating it every year. These savoury Sausage Pizza Roll Pinwheels are perfect for taking on picnics, serving at parties or adding to lunch boxes. I love going on a picnic. I think this is because it is something I did a lot growing up with my family. It was a way of spending some quality time together with my parents and grandparents, and it always involved a walk in the woods or some park beforehand, to help us work up an appetite. My Mum always packed enough food so that we would never be left feeling hungry! I have wanted to make a sweet pizza for some time now, but have never found the right opportunity to die it a go. However, in a bid to get my eldest to eat something – anything really – following him being poorly off school with a sickness bug, I thought I would attempt a dessert pizza made using flavours and food I know he enjoys (when he is not ill at least!). This month (26th June) sees the release of the new Minions Movie, which my two boys are looking forward to seeing, after they both enjoyed the two Despicable Me films. 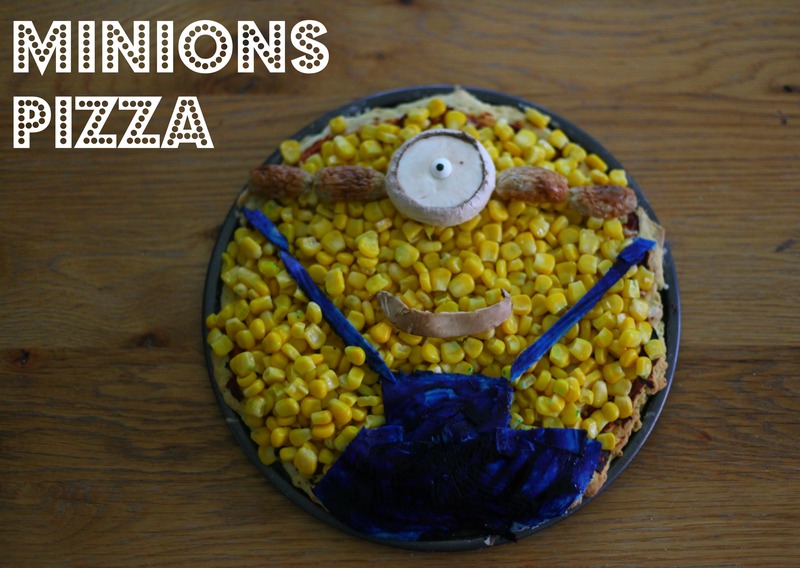 In homage to the new Minions Movie, Green Giant Sweetcorn have asked some bloggers to create a fun Minion inspired mealtime creation, using their sweetcorn.